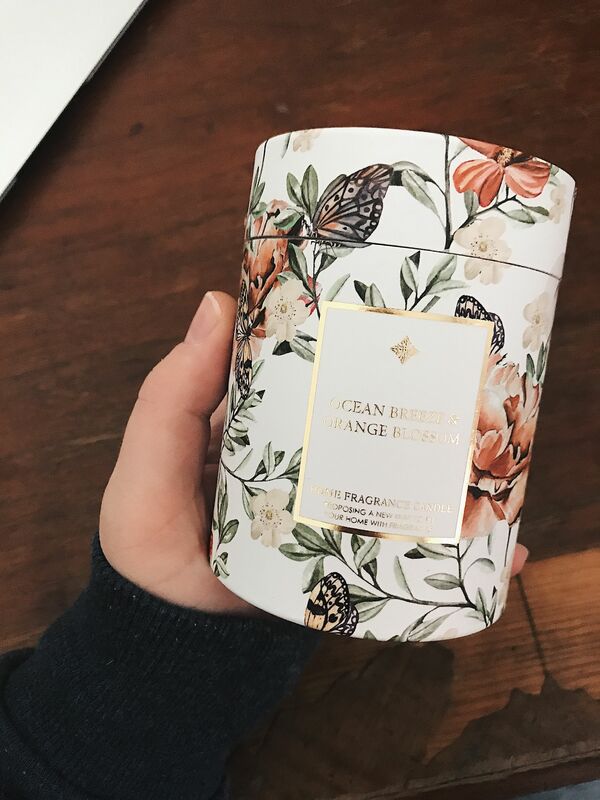 I just bought this beautiful new candle! To be honest, it's probably going to be more of a decoration than lighted! I have chosen a lot of light colors for our walls and flooring in the house so I want candles and other decorations to bring the colors! I saw this candle at an ICA store in Likenäs which is close to were I grew up in Sweden. The store's name is ICA Nära Likenäs Allköp so if you are traveling to the Swedish Ski Resort Branäs this winter, you know where to stop by! ICA is a chain of grocery stores in Sweden, and even if you stop buy a smaller ICA like this one they usually have some shelfs with interior stuff like candles for your home. I love all the candles they provide at this ICA and I had to get this one! I loved the details of the design and the orange in it is perfect for the fall season that we now have! The scent of the candle is Ocean Breeze & Orange Blossom! Funny name for a scent cause you can't really imagine what scent Ocean Breeze together with Orange Blossom gives but it has an amazing scent. 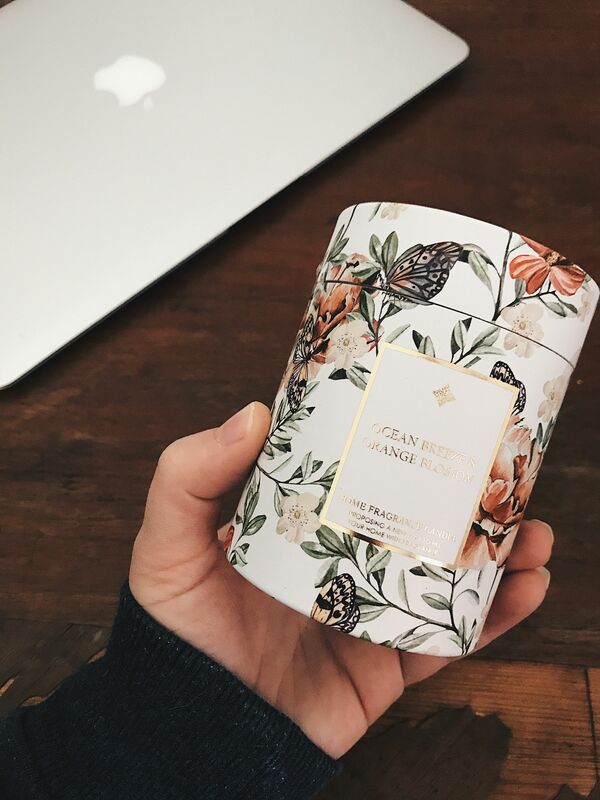 This candle can also be bought online at ICA Home, so press here if you want to buy the candle online! My new candle, love the design and colors! Perfect for fall. The scent of the candle is Ocean Breeze & Orange Blossom.